* a late entry Co-op Program scholarship in your area of study? The UNSW Co-op Program partners with industry leaders in the Business, Technology, Science and Engineering sectors to bring UNSW students unparalleled opportunities to combine their academic study with real world experience. Please see the listing of current internship opportunities below, and there are more added each week! NB. The UOC awarded to this Internship will only count toward your degree IF it can be accommodated as above or within your remaining free electives. ENGINEERING & SCIENCE INTERNSHIPS ARE NOT FOR CREDIT, DO NOT ATTRACT HECS. Register your interest or Apply NOW. 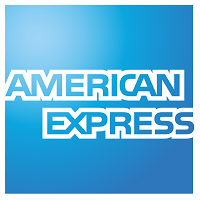 NEW OPPORTUNITY: A 6-month internship is now available with the prestigious Co-op sponsor company, American Express. COM19-INT6S2 is a 24-week placement from July 2019 - December 2019 (6 months). Please click the logo for further information. FIN19-INT6S2 is a 24-week placement from July 2019 - December 2019 (6 months). NEW OPPORTUNITIES: 6-month internships are now available with prestigious Co-op sponsor companies Box of Books, PWC Risk Assessment and Woolworths. BIS17-INT6R2/CIS19-INT6S2 are 24-week placements from July 2019 - December 2019 (6 months). Please click the logo for more information. NEW OPPORTUNITIES: 6-month internships are now available with prestigious Co-op sponsor companies American Express, MSD and Salesforce. MKT19-INT6S2 are 24-week placements from June / July 2019 - December 2019 (6 months). Note: Applications will take into consideration your academic results. Scholarship applicants must maintain a minimum Credit (Distinction for Finance) in courses and WAM to be considered. This is also desirable when applying for internships. This is a summary of vacancies available. For specific selection criteria and conditions of each vacancy click on the links above (where available) or contact the Co-op Office.